Discussion in 'Gran Turismo Sport' started by GTPNewsWire, Jul 30, 2018. This article was published by Kyle Patrick (@SlipZtrEm) on July 30th, 2018 in the Gran Turismo Sport category. Antonio_1989, dimassa19, JaZZyGee and 6 others like this. We have the thread for this already!!! GTPNewsWire - always the last with the news! jp_footy, Alpha Cipher and TheGeologist like this. Another V6 Turbo F1 !? How much does the F1 car cost? 1980s and 2017 cant compare them they are both different. Pedinhuh, FranJS12, DelboyD and 10 others like this. Yes, we already have a V6 turbo F1. But this Mercedes represents a whole different era than the F1500. SestoScudo, golfer07840, xxy98cn and 2 others like this. So what's the deal with the F1 car in the livery editor? Everyone was so freaked out about it before. One lap with the AI and I love it! Nearly 4 minutes. After the rolling start. DaveTheStalker, ScotteDawg, xxy98cn and 10 others like this. forzaturismo, golfer07840, GT6mebe and 7 others like this. Typically, a new thread is formed when the update actually drops. At the time the article was started, that was the only one available. Swapped! It appears there are 2 versions of the W08, maybe thats the 8th?? 13,800 for the Beat, 19,800 S660. Just bout both in every color. SSQES, xxy98cn, Macboyilija and 5 others like this. Anyone else get the feeling the circuit flows a similar way to Spa? Well memed PD, well memed. FranJS12, SecretAgentZero, AgentBlackDog and 1 other person like this. 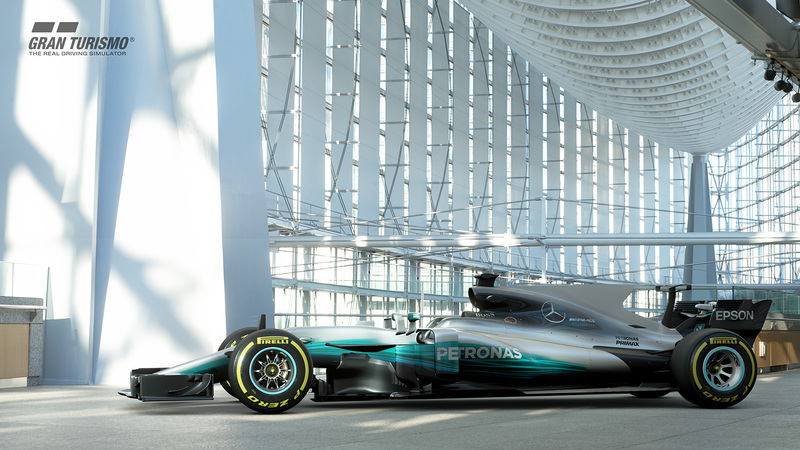 The 8th car is the W08 Variation, mentioned in Update Details. IngRobNy and ProjectF like this. sundaydriving and Salty66 like this. A funny typo on my game language. They are saying "anything above 200 MILLIONS! cannot by purchased at PSN"
Are we able to use custom decals on race suits or just choose from a set selection? There are 2 versions of the Mercedes-AMG W08 EQ Power+. A Hamilton version and a Colour Variation version which has a bunch of colour choices. No custom liveries either way though apparently. xxy98cn, GT6mebe, Elitekilla29 and 18 others like this. tonderai and AleksandarSRB like this. forzaturismo, acedition333 and chrisspeed281 like this. Really nice update! kudos to PD as always by the way no word on the microtransactions ? i don't mind but pepole on social media are mad about it. Is it just me or do the current F1 cars have a massive wheel base? I mean huge! What is it? Do they just have small wheels or something? Bogie 19th, Skyline_R34, mef and 18 others like this.